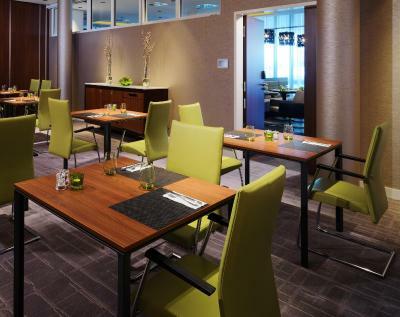 Lock in a great price for Courtyard by Marriott Cologne – rated 8.6 by recent guests! Facility was clean and comfortable with a big bed. Friendly staff. Very nice hotel, about 10 minutes walk from the train station. The rooms were very big by European standards. We were able to check-in early which was great. There is a really nice area with restaurants and shops nearby that aren't super touristy. The room was big enough; the bed was very comfortable; the breakfast was also quite nice. The hotel is 10-15 min by foot from the main train station. The room and bed were comfy. Air conditioning was great and a big relief as the temperature hit 37 C when I was at Cologne. I honestly liked absolutely everything in this place. 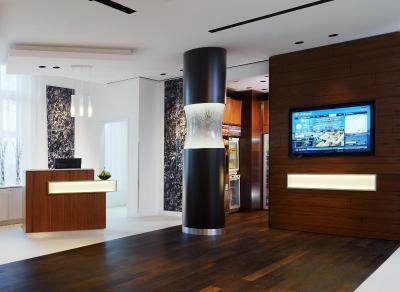 The location, the greeting ( they speak a few languages on the front desk, which is always a plus.) The bedroom was super nice , comfy bed , nice distribution and AC. In addition, they are environmental friendly . Simply perfect for me. the best hotel during my 13days Germany trip! 1.good location: 10minute walk to Cologne train station, located in residential areas, so it's quiet even though next to a road 2. super large bedroom and bathroom:very comfortable king size bed, very clean bathroom, enjoyed good shower here 3. electric kettle!!! this is the ONLY hotel provides electric kettle, i could boil water for drinking instead of buying bottle from grocery store, save money! The hotel staff was excellent from the waiters to the maids to the front desk. Friendly, helpful, and accommodating, but professional overall! Location of Hotel is excellent, 2 mins walk from Ebertplatz U Bahn station, staff friendly, helpful and very welcoming, room spacious and clean and breakfast good and filling. Near to restaurants and supermarket close by. 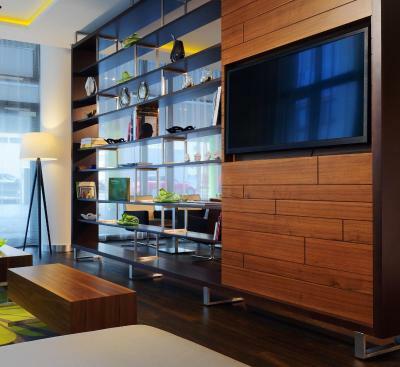 Bed comfortable and choice of tv channels very good. Railway station less than 10 min walk as well. 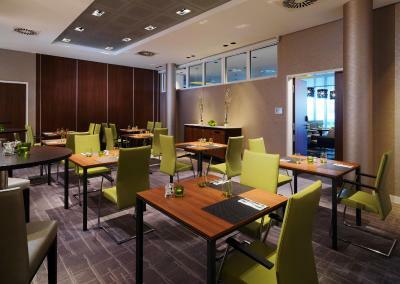 Courtyard by Marriott Cologne This rating is a reflection of how the property compares to the industry standard when it comes to price, facilities and services available. It's based on a self-evaluation by the property. Use this rating to help choose your stay! One of our best sellers in Cologne! 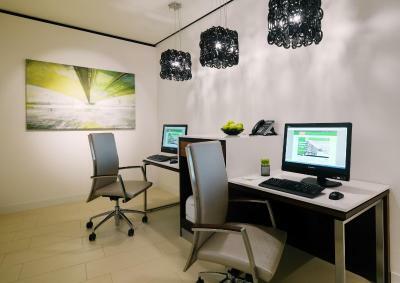 Courtyard by Marriott Cologne offers free WiFi access throughout the property. 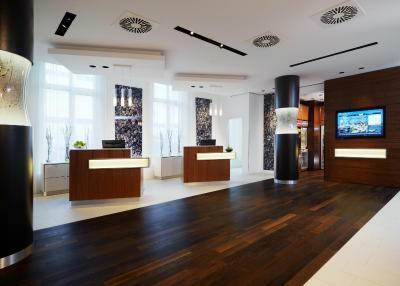 The centrally located hotel is just 2,950 feet from Cologne Cathedral. 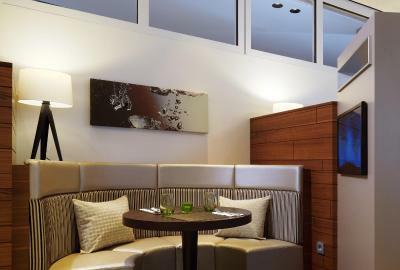 The on-site à la carte restaurant serves a range of international and regional specialties. 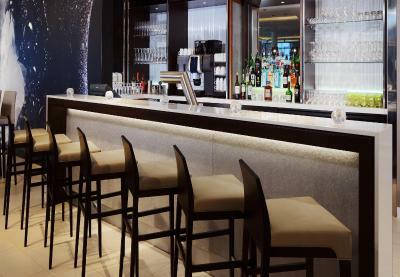 A large variety of restaurants, cafes and bars can be found within a 5-minute walk of the hotel. The Cologne Chocolate Museum is 1.2 mi from the hotel, and the Roman Germanic Museum is a 15-minute walk away. Museum Ludwig, where a large collection of modern art is displayed, can be reached in 15 minutes using public transport. Cologne Main Station is just a 10-minute walk from the hotel. 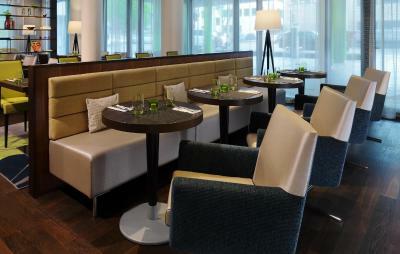 When would you like to stay at Courtyard by Marriott Cologne? This room features air conditioning, a satellite TV and a private bathroom with a hairdryer. 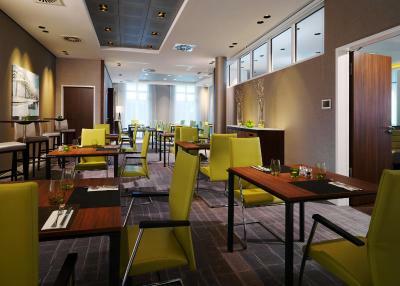 The brand new city center Cologne hotel boasts a prominent location at the former Afri-Cola® estate in the heart of the famous Kunibertsviertel neighborhood. 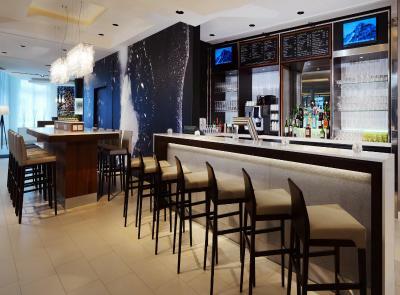 It is an ideal starting point for city tours and shopping endeavors. 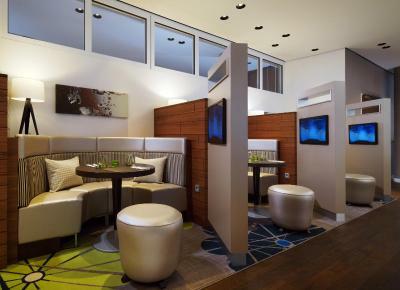 House Rules Courtyard by Marriott Cologne takes special requests – add in the next step! 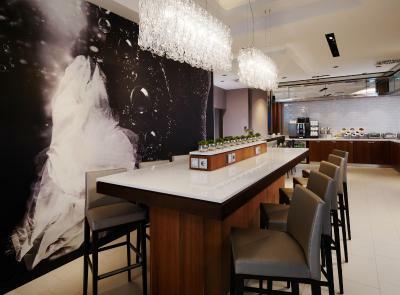 Courtyard by Marriott Cologne accepts these cards and reserves the right to temporarily hold an amount prior to arrival. Location was perfect. 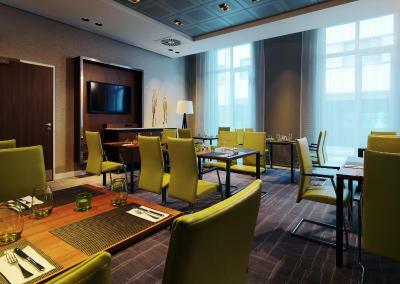 Easy 10-minute walk to Cologne Cathedral and Central Station, plenty of bus stops and metro stations within a short walk; grocery store and bakeshops right across the hotel. Rooms were always clean and the staff were always very pleasant and helpful. No refrigerator in the room . Parking is expensive. Not great value for what you pay. Expensive parking. Location, clean, good gym. Very friendly staff. Nothing, everything was great. The staff were lovely as was the room. Good location. The breakfast was good and open till late which is a plus... The location is close to the main station. The people working there was really nice. Bed was confortable and the room has everything needed. Staff is very slow at check in and check out and more concerned with gossip then helping customers. Breakfast is mediocre at best. Rooms are of a good size, comfortable and property is clean. Breakfast did not cater for people with gluten intolerance. Room did not have a mini fridge. Eggs Benedykt wersja super thx. 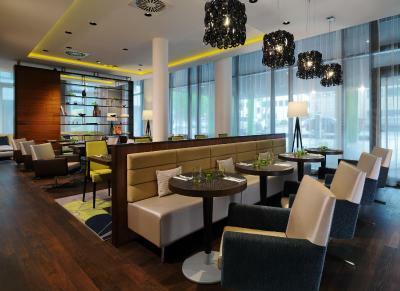 We stayed 2 nights in Cologne and thought the hotel was very good. The room is modern and very spacious. The bed is quite comfortable too. The hotel is located 10 min walk from the cathedral. Overall, great experience and would recommend this to anyone. Bath towels could be bigger and fluffier, but this was not a big deal. I’ve stayed in a corner room, which is very spacious, really comfy and clean, with a nice view. 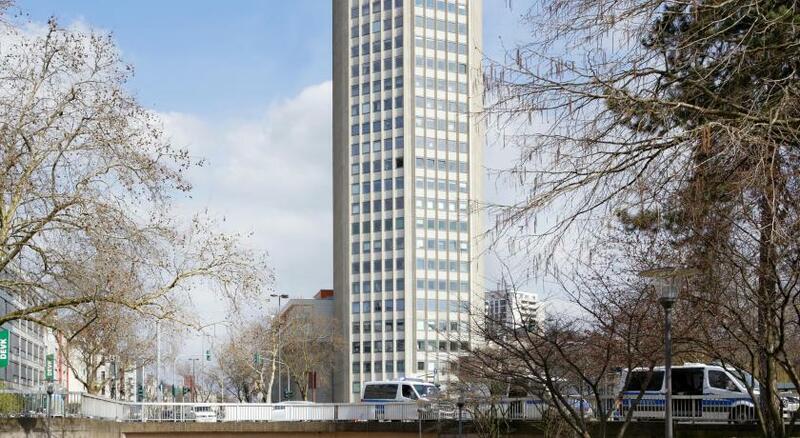 Good location, it is about 10-minute walk from the central station, but on the other side of the Dom. The room had a kettle and tea/coffee, which is nice.